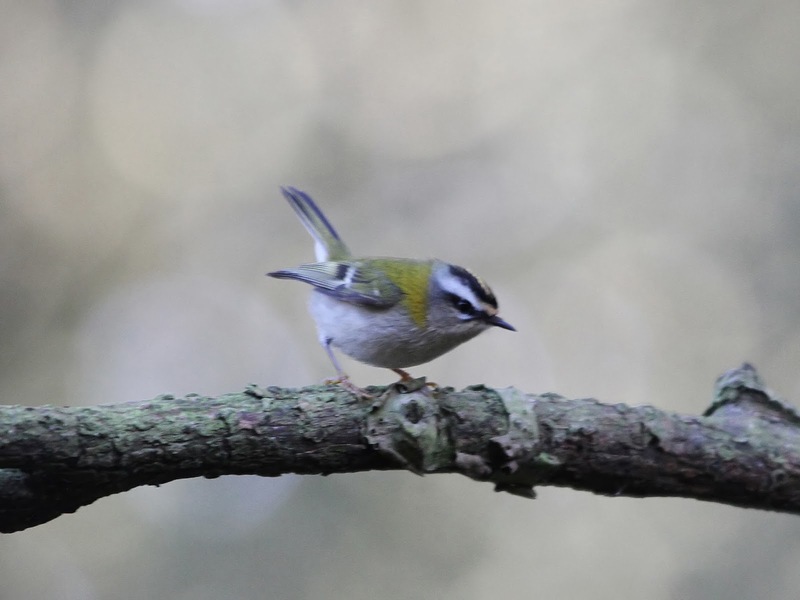 The Firecrest at the Mere was seen again today, it was again about 100 yards west of the Cafe. In the Harbour the Great Northern Diver was still present while in South Bay there were 2 Red-throated Diver, 3 Great Crested Grebe, 1 Canada Goose, 11 Common Scoter and 3 Guillemot, 16 Wigeon flew south. In North Bay there was a Red-throated Diver and a Great Crested Grebe, 16 Red-throated Diver a Canada Goose, 8 Guillemot, a Razorbill and 2 Meadow Pipit were at Cloughton Wyke, 54 Teal, 18 Wigeon, 14 Curlew and a Bar-tailed Godwit were on Johnson's Marsh and 5 Buzzard and 2 Green Sandpiper were on Thornton Carr.